Unlike traditional phone trunks, sip trunks are logical and use your ip network. In the past each call on PSTN (traditional phone service) had to hold a line open to make a connection. With sip trunks, all calls travel via your ip network and can grow as you organization grows. You do not need regular dids to make outgoing calls. You need dids to receive calls from the regular telephone network. We do not limit or charge the number of outbound extensions or virtual trunks you can have. So you can setup an automated answering service or auto attendant on your main number or did and allow the hosted pbx service to answer and transfer your calls. We provide fax dids in select rate centers that support the fax codec to allow fax2email service on our Porta VoIP Switch. Please contact us to see if we can port both your local and international numbers as per your country and rate center prefix. We now have phone numbers available from different countries which includes iNUM and SMS. You can now get local phone numbers from around the world and map it to our soft switch. There may be a setup fee for each number. Our Points of Presence (POPS) are located in North America, Europe and Asia for redundancy. We provide engineering services to setup your own local phone numbers in your own country using our equipment. Please contact Support with your questions. For security reasons, we no longer sell wholesale minutes to those who do not use our switch services and pre-pay by wire transfer. For security reasons, this amount must be paid by wire transfer only. Our hosted private label voip soft switch includes automated international DID provisioning, number porting and hosted pbx services. You can view your call history online and automatically recharge funds in your Porta Billing Web Control Interface. The minutes you purchase will available under your account for use once we receive your funds. Phone numbers are sold in blocks of 50 if you do not use the web interface to place the order. You can add the INTERNATIONAL DID API for automatic did provisioning upon Accounting approval. US did API or application link is available by default on all resellers plans with no additonal charges to activate. You can order your phone numbers online with our custom api and your dids will be instantly activated for use. Ideal for outbound Call Centers and Wholesale VoIP Termination. Sell under your brand and create unlimited accounts for your customers with their own web control panel. 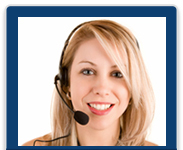 They can pay and view their call history online using our private label voip web control panel. Bank Merchant Processor is required for online payments. If you want to start your own VoIP Phone company anywhere in the world without major hardware investment, the Reseller Enterprise Plan is what you need.